Our small gift box can accommodate one of the following: Small and Medium Cosmetic Pouches, Mini Cases, Mini Tablet Cases, Beauty Bags and Makeup Bags. This Gift box will be sent empty for you to fill but does include tissue paper, ribbon and a blank gift note, all safely delivered in our bespoke mailing boxes. 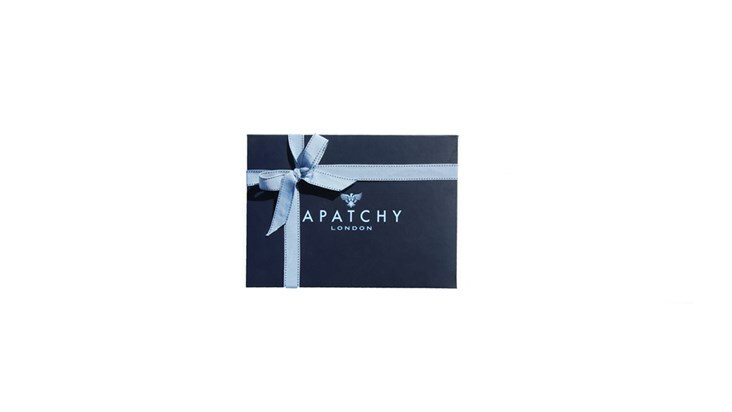 If you would like any Apatchy product gift wrapped and sent direct to the recipient, please select "gift wrapping" from the drop down box when placing your order.